So, I love browsing on EAST DANE to see what’s new, what they have… I like they have SALES all year long, you know? getting some nice items at a good price is always smart… thou you always fall in love with the LATEST additions to their page. Here’s a shirt I am getting for sure from the new arrivals, you’ll see me wearing it probably next weekend, cause even thou I live in Aruba, if I place the order on Monday I’ll get it by Wednesday. So, if you saw one of my latest post I am kind of liking a lot this “evil eye” print. Kenzo has this new print, I saw it already in white but I like it a lot more in blue. 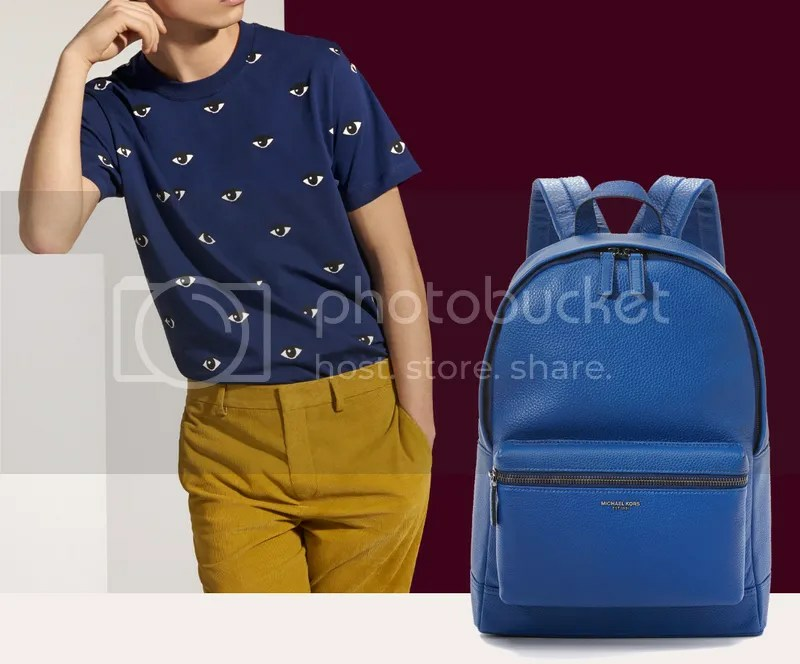 Also, last month I bought this Michael Kors backpack in brown but I see this one in blue and is on sale, you should check it out cause I think it has a great price for a full leather bag, I like also nylon and plastic bags but, I mean, when is leather is much much better. You can get the Kenzo t-shirt clicking here. If you come to Aruba we can be twincies on a night out at Gusto. Also you can get the Michael Kors bag clicking here. Now, I know we are still in summer, but I am already planning 2 weeks in NYC late October so I am already checking out sweaters and turtlenecks, and I just stumbled upon this gorgeous piece, look at this color pallet, it is just so cool. Guess what? It is KENZO also, I mean, I have a few pieces and perfumes by them but they’re certainly making a come back in my life. I want this sweater and the shoes, I’ve always had a weakness for white shoes and I am not 12 anymore so I can take care of them. The Sneakers are APL in collaboration with Creatures of the Wind. They’ve got a padded mesh and soft leather trim, a limited-edition brand patch at the extended tongue. The outsole features the brand’s lightweight Propelium™ compound. 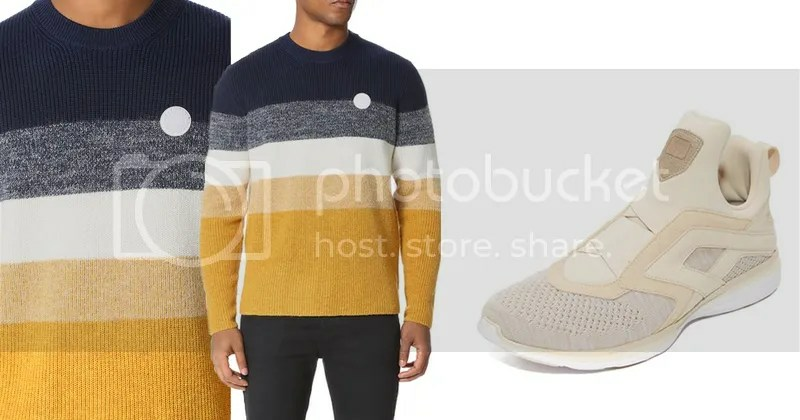 You can get this Kenzo sweater or similar pieces by clicking here and for the APL shoes just follow this link here. I hope you like the pieces I selected in this blog post. I am soon blogging with more pics about the blue allover eye t shirt. Youc an follow me on snapchat. Just add me: christianbendek.